A lecture on the life, philosophy and works of Plotinus. 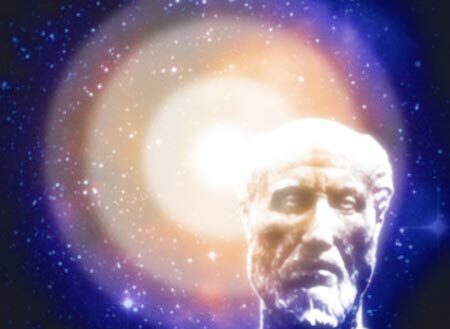 Plotinus, (c 204 – 270 CE), is one of those extremely rare souls who are able to combine penetrative vision, comprehensive expression, and the reality of experience into one profoundly purposeful life. As the great revealer of the truths of the Platonic tradition prior to him, to that yet to come, he is at once a true lover and an intimate of wisdom, a philosopher in the best and most potent manner. His vision and love shine through his life and his works, and the wisdom to which this love ever draws him is not human, but is divine, and is the first wisdom. The present lecture will be a tribute to this powerful philosopher, and will draw upon both his life and his teaching in order to reveal again the ardent love and precious wisdom of this exemplary philosophic soul. The second in a series of lectures, "Six Lectures on the Philosophers of the Platonic Tradition"